Our Funarena! : West Indies Tri-Series Cricket: India On The Brink! West Indies Tri-Series Cricket: India On The Brink! Sri Lanka on Tuesday achieved the unique feat of losing just one wicket to post a huge 300+ total while put into bat and India suffered one of its worst defeats in one-day cricket while chasing. Sri Lanka outplayed the ICC Champions Trophy-2013 winner in all departments of the game to win by whopping 161 runs in the third match of the West Indies Tri-Nation ODI Cricket Series being played in Jamaica and Trinidad. It was a rank bad day for India with nothing clicking for them including the changes done in the team. Shami Ahmed coming into the team out of nowhere and replacing Bhuvaneshwar Kumar—consistently the main strike bowler for India in recent matches—was a huge surprise as it was illogical. With captain MS Dhoni out of the Series due to injury selection of specialist opener Murali Vijay was another surprise because the hit Shikhar-Rohit opening duo could not at all be disturbed. As it turned out these changes in a crucial match like this contributed profusely for the Indian humiliation. For a change stand-in Captain Virat Kohli won the toss and easily succumbing to the Kingston ‘trend’ put Sri Lanka in. The Kingston ‘trend’ was set by the fact that the pitch normally remained damp helping the quickies and then easing out in the afternoon. In the first match West Indies won the toss and invited Sri Lanka to bat first. Sri Lanka got all out for 208 in less than fifty overs and West Indies won with tremendous ease in the 38th over. In the second match too toss winning West Indies put India in and restricted them to 229/7 in fifty overs. But for a flash of West Indian harakiri tendency they would’ve won the match with tremendous ease again rather than the thrilling one wicket margin. What Kohli perhaps missed was the fact that in both matches the ‘trend’ helped only the West Indies quickies who are naturally enjoying the home advantage too. It took a spectacular batting display from Sri Lanka with Upul Tharanga (174 not out) in full flow to thoroughly demolish this myth. 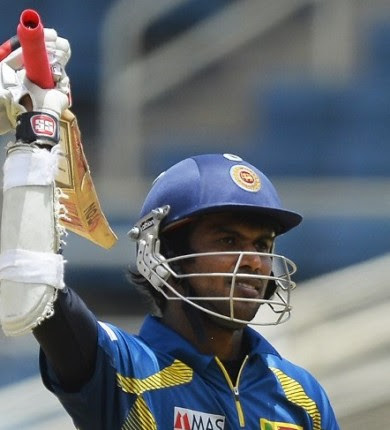 Opening with captain Mahela Jayawardene (107) Tharanga had a double century partnership and then a century partnership with Angelo Mathews (44) coming in to bat at No.3. The mammoth target of 249 was beyond India as they huffed and puffed to 187 all out. The best fielding side in the Champions Trophy got totally disoriented on the field this time with various lapses crowning their defeat. 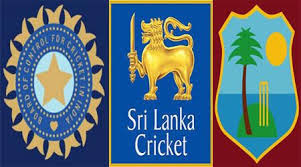 Now for a berth in the final India must win its both remaining matches and yet hope West Indies defeat Sri Lanka. Assuming India win next two matches, a Sri Lanka victory over West Indies would still allow both Sri Lanka and West Indies go into the final thanks to one bonus point earned by each. It is highly optimistic at this moment to hope India earn two bonus points too which would increase their chances in case Sri Lanka defeat West Indies but fail to earn a bonus point. India meet West Indies tomorrow in a do or die encounter as the action shifts from Kingston, Jamaica to Port of Spain, Trinidad. Fortunately there will be no ‘trend’ or ‘myths’ to haunt Virat Kohli this time and the toss might be relatively less significant.